Exclusive to the South American market. 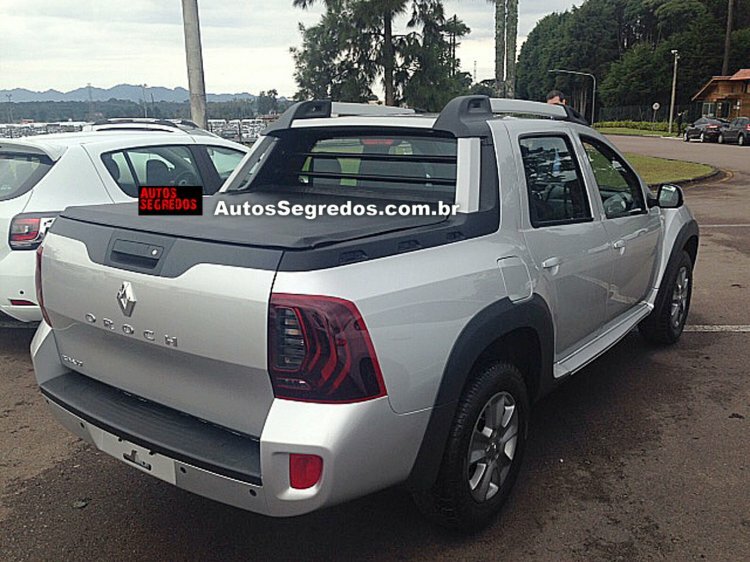 Following its unveil at the at the 2015 Buenos Aires Motor Show, the Renault Duster Oroch has been snapped in the wild, giving us an idea of what it looks like outside the showfloor. The Renault Duster Oroch pictured appears to be the top-end Dynamique trim, which comes with a tougher back plastic bumper guard, plastic wheel arches. While the front-end is taken straight out of the Renault Duster SUV, it features an exclusive 'Duster' nameplate underneath the single slat grille. The Duster Oroch pictured here appears to be the top-end off-road friendly Dynamique trim, which comes with a tougher back plastic bumper guard housing an extra pair of fog lamps, black plastic arch extensions, and a tonneau cover for the truck bed. The Duster Oroch is, reportedly, 4.7 m long, 1.8 m wide and 1.69 m high in dimensions. The pick-up bed has a towing capacity of 650 kg. The interior design of the Renault Duster Oroch is largely identical to the Duster SUV. Renault has confirmed that the Duster Oroch will be offered with 1.6 and 2.0-liter four cylinder engines sourced from the Duster. In the donor vehicle, the former produces 115 hp through a 5-speed manual, while the latter delivers 148 hp and 177.5 Nm of torque on ethanol or 142 hp and 168 Nm on gasoline through a 6-speed manual or a 4-speed automatic, with a standard 4×2 and optional 4×4 drivetrains. 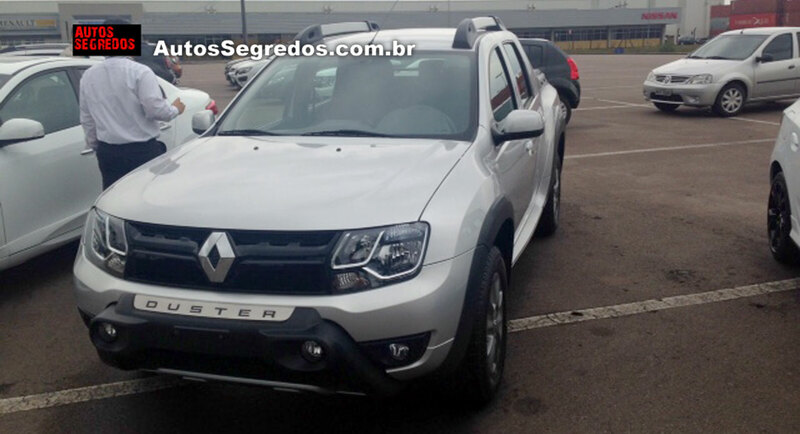 The pick-up bed of the Renault Duster Oroch has a towing capacity of 650 kg. The Renault Duster Oroch is scheduled to be launched by November 2015. Prices will be announced closer to launch.